The Way of Saint James — or, as it is called by the locals, El Camino de Santiago — is a roughly 800-km pilgrimage walk through northern Spain to the city of Santiago de Compostela where, according to pious legend, lie the remains of St. James the Apostle. Pious legend is almost certainly faulty on this point, but nonetheless the Camino has been an important Catholic pilgrimage route for over 1000 years. I myself walked a portion of it — roughly the last 15% — in 2005, and I hope one day to return to walk the entire thing. In this 2010 film, Martin Sheen plays Tom Avery, an American doctor called to a small town in the Pyrenees to identify the body of his son, Daniel (played by Sheen’s real-life son, Emilio Estevez, who also wrote and directed the film). Daniel had been killed in a sudden storm on (what must have been) the first day of his Camino trek. Tom has never heard of the Camino before, and suspects the walk of being another of his unfocused son’s fruitless enthusiasms, but once finding himself there he decides to walk the Camino himself, scattering his son’s ashes along the route, as a way of honouring his final wishes. Along the way he encounters a number of other pilgrims, has a variety of adventures, and eventually does find his way to the magnificent portals of the Cathedral of St. James in Santiago. The Camino is busy, and these days one finds it full of people with every kind of intention. There are those who are on religious pilgrimage, of course, and in some sense they have pride of place, for they carry on the tradition that is the Camino’s raison d’etre. It is for them that the shrines, churches, prayers, and devotions associated with the Camino make sense. But naturally there are others too: people of other faiths, or none, walking the route for their own reasons. This is reflected in the film: of the companions who eventually coalesce around Tom en route, one is walking to lose weight, another to quit smoking, and a third to overcome writer’s block. At first I found this slightly annoying, as though the religious purpose of the pilgrimage was being not just downplayed, but outright ignored. By film’s end, however, I was more content; it had become clear that each pilgrim had, perhaps without knowing it, deeper reasons for being there, and that the pilgrimage itself has worked its own purposes within each of them. This is a film that I am predisposed to like. I could not view it without remembering my own sojourn on the Camino, which is among the happiest episodes of my life. Having said that, it is a good, but not an excellent, film. Some of the characters are too obviously “characters”, in the pejorative sense, and the misadventures along the route, while diverting to some degree, don’t obviously serve a unified artistic purpose. The soundtrack is at times extremely vexatious. (During the film we learn about the Codex Calixtinus, a medieval manuscript associated with the Camino, and the film would had been much improved had we heard some of the beautiful music drawn from that source. But I’d have settled for dropping Alanis Morissette.) The last act of the film, however, from the arrival in Santiago to the closing credits, is very good, and brings the emotional arc of the film to a satisfying conclusion. When it was over, I felt aglow. The theme of pilgrimage is a rich one, ripe with possibility. A pilgrimage is, by its nature, a living metaphor for the journey of life itself, and there would seem to be no natural limit to the potential emotional and spiritual scope of a film of this sort. 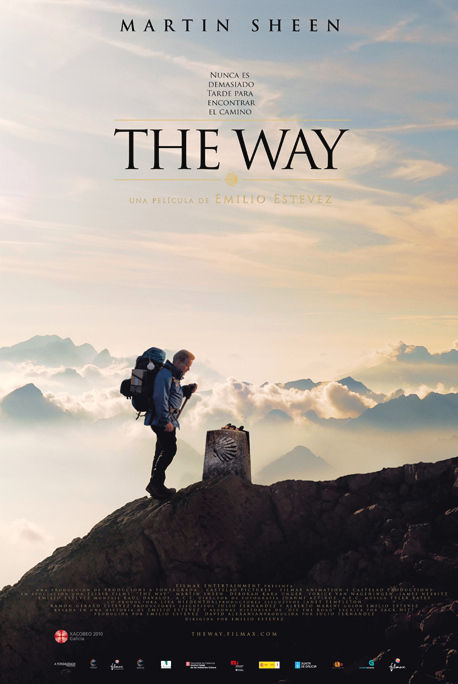 The Way is content to limit itself to what is, essentially if unconventionally, a domestic drama of the troubled relationship of a father and a son, paired with beautiful scenery and a rogue’s gallery of minor characters. This makes it a film of modest ambition, which is fine, and it mostly succeeds, which is good. I enjoyed it, and I recommend it. Our friend Janet Cupo also recently watched this film, and she posted her thoughts about it earlier today. She liked it too. Pelléas et Mélisande has some claim to being an anti-opera, for Debussy wrote it in conscious rejection of the German and Italian traditions that dominated the art. Against the German influence, and especially against Wagner, he drained his score of harmonic tension and large-scale musical developments, choosing instead to ravish the ear with timbral beauties that seem to hover, cloud-like, never building up harmonic momentum in any one direction for very long. Against the Italian tradition he abandoned the operatic model of alternating recitatives and arias, and he even, to a large extent, abandoned song: his is a prose opera, in which the singing is a form of heightened speech, supple and flexible, but never overtly “operatic” in the conventional sense. For all that, it is a masterpiece; certainly I count it among my half-dozen or so favourite operas. Its principal attraction, for me, is the overwhelming beauty of its orchestral score: Debussy had an ear for orchestral colour that few could match, and to my ear he was never better than he is here. Indeed, I believe that the quality of the orchestral playing is the sine qua non for this opera; without a rich, sensual orchestral presence the opera can sound thin and insubstantial. When the playing is good, however, it is an ocean of sound on which I would happily drift for days. Based on a play of the same name by the symbolist playwright Maurice Maeterlinck, the story is of a love triangle between a young woman (Mélisande), her husband (Golaud), and her brother-in-law (Pelléas). It has a quasi-medieval setting, taking place mostly in and around a coastal castle in the mythical kingdom of Allemonde, and the action turns on a few fairy-tale elements – a deep well, a lost ring, a dark cave. The story is told episodically, through a series of somewhat disconnected vignettes, and the drama has (in the opera, at least) a subdued, ominous tone, as if the characters are all, without knowing it, teetering on the edge of a profound and sorrowful disaster. The stage should be dimly lit, the figures emerging from shadows. Pelléas et Mélisande is at odds with the “Great moments in opera” mentality; there are no grand musical gestures or thrilling high notes. Nonetheless, it is such a wonderful opera that I cannot resist pointing to a few favourite moments. A key scene opens Act II. Pelléas and Mélisande meet together at a well near the castle. Pelléas questions her about how she met Golaud, and she, apparently wishing to change the subject, removes her wedding ring and begins tossing it into the air. It falls into the well. This clip begins while they are talking at the well; I recommend watching to the end of the scene, which is about 3 minutes altogether. Pelléas may claim that the ring is unimportant, but the fact is that there is something special about it, for we learn in the next scene that at the moment when it fell into the well, Golaud’s horse, in another part of the woods, frighted and threw him. There is quite a lot of opera after this point — five Acts in total — but these clips give, I believe, a good flavour for what it is like, and why it is so wonderful. More than most operas, it really ought to be experienced as a whole. There is a new physics blog at xkcd called What If? Each week it discusses a question of pressing scientific interest for a general audience. If one loses the train of thought one can always consult the diverting illustrations, which feature those lovable xkcd stick figures. The outer surface of the planet radiates heat into space and freezes. Because the moles form a literal fur coat, when frozen it insulates the interior of the planet and slows the loss of heat to space. However, the flow of heat in the liquid interior is dominated by convection. Plumes of hot meat and bubbles of trapped gases like methane—along with the air from the lungs of the deceased moles—periodically rise through the mole crust and erupt volcanically from the surface, a geyser of death blasting mole bodies free of the planet. The blog has only been going a month or so; the previous posts (on Star Wars, SATs, and baseball) are also interesting. Only a few people know the reason for this post; apologies to everyone else. The tube is blister ointment, and the wrap is therapy for overstretched tendons. I usually reject the declinist conceit in classical music — the belief that the Golden Age of performance lies behind us. But when it comes to Dietrich Fischer-Dieskau, the Olympian German baritone who died last month at age 86, I must succumb. German art songs, Lieder, have never had an interpreter of such exquisite sensibility; whether they ever will again remains to be seen. Yes, Fischer-Dieskau’s lyrical voice was stunningly beautiful, with a legato that enveloped the listener in the warmth of the most tender humanity. But it was what he did with that natural beauty that set him apart. No other musician has brought such subtlety of phrasing to the song literature. Each note and syllable were characterized by an individual nuance of breath, vibrato, and pulse, the product of a probing intelligence that at every moment considered how verbal meaning interacted with musical line. As a result, a song in Fischer-Dieskau’s hands led one to contemplate in awe the mysteries of human communication itself. She goes on to discuss several of his recordings in detail, focusing on his legacy as an interpreter of Schubert’s lieder. It’s an interesting article, from which one can learn not only something about Fischer-Dieskau, and about Schubert, but also something about the art of listening. The purchase of the Deutsche Grammophon sets, priced in the hundreds of dollars, may seem like a daring extravagance, but it is really a milestone commitment to musical culture—the equivalent of buying all of The Remembrance of Things Past or the complete Greek tragedies and comedies. Agreed on all counts but one: the Deutsche Grammophon set to which she refers, all 20-odd hours of it, can be purchased for less than $100. It’s a steal. By the way, Heather Mac Donald (whose name really does have a space where there normally isn’t one) writes about music quite regularly for City Journal, and she is well worth following. I can’t speak for her writings on political matters. A few years ago Alex Rosenberg, a professor of philosophy at Duke, published a short article online called “The Disenchanted Naturalist’s Guide to Reality”. I remember that it attracted a fair bit of attention at the time, for it set forth, briefly, the melancholy implications of philosophical naturalism (or ‘materialism’, or ‘scientism’): namely, that morality is unfounded, purpose illusory, freedom fictional, God non-existent, and even conscious experience a kind of elaborate deception. Rosenberg commented that though the premises of naturalism are widely held, the implications are, more often than not, ignored or denied, and that sooner or later that has to change. Then last year he published The Atheist’s Guide to Reality, which presents the same argument in more elaborate and detailed form. It too has received a lot of attention — even being named “Worst Book of 2011” by Leon Wieseltier at The New Republic, who evidently took offense at the book’s conclusions. The problem is that, given its premises, those conclusions actually do follow. The book thus provides us with a welcome opportunity to critically examine the premises of naturalism (and, despite the title of the book, it really is naturalism, rather than atheism per se, that is the problem, even if, in practice, the two tend to go together in our culture). This is just what Edward Feser has done over at his blog, in an ambitious ten-part series of posts. He critiques Rosenberg’s argument for scientism, his framing of the relationship between Darwinism and theism, his (“nice”) moral nihilism, his denial of free will, his denial of the intentionality of thought, and much else besides. Feser typically argues that the radical (and sometimes incoherent) conclusions that Rosenberg believes follow from “the facts” are actually thoroughly entangled with the metaphysical commitments of naturalism (and particularly with the view of the natural world as a kind of machine), and do not follow if those commitments are suspended. In so doing, he has done us a good service. It makes for fascinating reading too. Feser collected links to the whole series on one page, which makes it easy for me to recommend the whole project. Thucydides’ history of the decades-long war between Athens and Sparta is generally considered to be the first great masterpiece of historical writing in the Western tradition. He wrote only a few decades after Herodotus, but his conception of what constituted specifically historical writing had sharpened up considerably in the meantime. Thucydides gives us very little in the way of anecdote or local colour; he is focused, detailed, and concise. His attention is focused on military affairs and politics, principally. Thucydides was himself an Athenian naval general, and he appears at several points in the narrative. The Peloponnesian War was a messy affair. The principal opponents were Athens and Sparta, but over its 27 years the war drew the entire Greek-speaking world, and more, into its orbit. The history of the war turned on a long and complicated series of shifting allegiances between the principal powers and the lesser: Corinth, Argos, and the various island peoples scattered throughout the Aegean. Thucydides attributes the cause of the war to Spartan concern over the rising power of Athens, who had, in the wake of the defeat of the Persian invasion (recounted by Herodotus) built an extensive empire around the rim of the Aegean Sea. These far-flung holdings became a major problem for Athens as the war progressed, for subject peoples saw the war as an occasion for revolt, sometimes with Spartan support, against a weakened authority. Thucydides made use of a novel technique to effectively present the factors and arguments that, in his judgement, most affected the progress of the war. At crucial junctures, he had important figures deliver speeches. By his own admission, these speeches were not “historical”; there was no transcript from which he could draw. Instead, his speeches were imaginative reconstructions of what he thought the figure “should have said” in his specific circumstances. Obviously, this is a respect in which Thucydides’ conventions of historical writing are not identical to ours, but, in his defence, the speeches make terrific reading. One gains much from reading Thucydides: first of all, exposure to certain great men — Pericles, who counselled the Athenian assembly against war in the first place; the bold and tenacious Athenian general Nicias; the enterprising and scheming Alcibiades; the conquering Spartan Brasidas, to name a few; an appreciation for the uncontainable consequences of war, for who could have foreseen the tortured path this conflict would take? ; many portraits, presented especially through the speeches, of the human side of war; a certain sad awareness of the plight of mankind, subject to so many forces and prone to make poor decisions (something that also, and perhaps especially, afflicts democracies); and a lively sense of the art of military strategy. It really is one of the great books. As is well known, Thucydides did not finish his history, for the book covers only 21 of the 27 years of the conflict. I suppose I don’t give anything away by saying that eventually it was the Athenians who were defeated, largely because the Spartans were able to forge an alliance with the Persians. What happened after the war, with the March of the Ten Thousand, and the gradual decline of Greek power, and then the rise, some seventy years later, of a Macedonian power that would rival even the Persians in ambition and achievement — well, that is a story for another time. 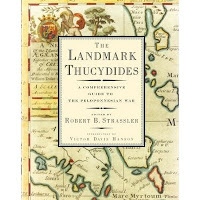 I read The Landmark Thucydides edition of The Peloponnesian War, edited by Robert Strassler. It has all of the virtues that I enumerated when I wrote about The Landmark Herodotus some time ago: many maps to keep the reader oriented geographically, marginal summaries, parallel timelines for the various theatres of operation, a thorough glossary, a detailed index, and numerous appendices to fill out the historical background. It is a beautiful piece of work. Were it not available one would obviously struggle through anyhow, but since it is available I cannot imagine reading Thucydides without it. Today, being Mahler’s birthday, offers a good opportunity to ponder a vexing question: why is Mahler’s music not played by heavy metal bands? You might think that I am joking, but you are only partly right. The truth is that certain passages in Mahler’s symphonies would translate splendidly into a head-banging idiom, and the appeal of such high-class, ready-made music ought to be irresistible to serious metalheads, who, after all, often pride themselves on the harmonic and rhythmic adventurousness, architectural complexity, and philosophical profundity of their music. But I have looked, and I have been unable to find even a single instance of a metal band covering Mahler. The situation is really very perplexing. It has been a busy week, but I cannot let it pass without saying a brief word about the Higgs boson discovery at CERN. This is something that everyone has been expecting since the lab was upgraded to higher energies a few years ago. In other words, it is not a surprise — and, in fact, from a certain point of view it would have been more exciting if they had not found it. I will even admit that I was feeling a little blasé as the rumours of the discovery began to circulate in recent months. The official scientific paper describing the findings has not been published yet, but CERN is reporting the discovery of a boson (a particle with integer spin) with a mass of about 126 GeV (as in the figure above). The mass is roughly equivalent to that of an iodine atom, making the Higgs boson the second heaviest known elementary particle (after the top quark). The extent to which the properties of this new particle match those predicted by our theory will take time to sort out. Measuring the spin will be an obvious first step, if it hasn’t been done already. Its couplings to the other particles will have to be measured. In other words, a lot of work will be done to check whether this Higgs boson is the one we expected to find. Time to shelve this away? Many physicists are hoping that it is not. The cost to build and run these collider experiments is so enormous that if the current facilities at CERN find the Standard Model Higgs boson, and nothing else, there is considerable worry — well-founded worry, in my opinion — that the era of collider physics, which has taught us so much, will be over. The political will to build another, bigger, more expensive experiment will not exist. If, on the other hand, there is something odd about this Higgs boson, or if CERN finds something else — something unexpected — in the next few years, then our theory will need revision, and more experimental studies will be needed to sort things out. That is an argument to keep going. Despite those worries, this is a time for celebration. I think especially of the thousands of people who have worked so hard, for so long, to get to this point. The complexity and scale of these experiments beggars description; they are truly amazing feats of design and engineering, and those responsible for them can be justly proud at a time like this. All that work, and we reap the harvest. 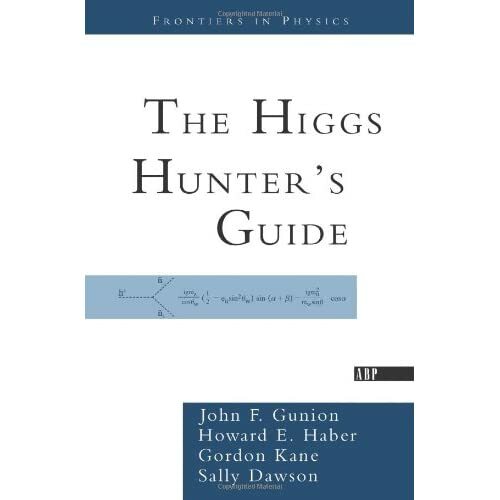 This video gives an accessible but informative introduction to the Higgs boson. It takes a minute or so to really get going, and it looks better when viewed at full-screen.